Why Use Aftershave Lotion Instead of Regular Moisturizer? So, Is It Good to Put On Lotion After Shaving? Shaving can be a necessary evil if you’re not a fan of other hair removal techniques, but you do want to remove unwanted body hair. Sometimes it can be a breeze when a quick once-over with a sharp razor is satisfying and leaves you silky smooth. Other times, we can become vulnerable to all of the nasty side effects of shaving, like razor burn, ingrown hairs, folliculitis, or just red, angry skin. Luckily, aftershave lotion for women can go a long way towards helping prevent and resolve these problems. This article will talk a bit about the benefits of using aftershave lotion and what to look for when selecting the best aftershave lotion for your needs. It will then review some great products that are currently available to make your search even easier. It may seem like aftershave for girls is just a gimmick. Like we got jealous of the guys with their aftershave routines and wanted some of the action for ourselves. But the fact is, aftershave lotion actually has certain properties that straight moisturizer doesn’t. For example, aftershave is designed to encourage the pores to close quickly after shaving, so that they remain protected from foreign bacteria. This helps to prevent things like razor burn and folliculitis. Some aftershaves include ingredients such as salicylic acid which can help to release trapped hairs and prevent them from becoming ingrown. Good products offer the brand Tend Skin. Also, salicylic acid can help fight Strawberry legs or Keratosis Pilaris. 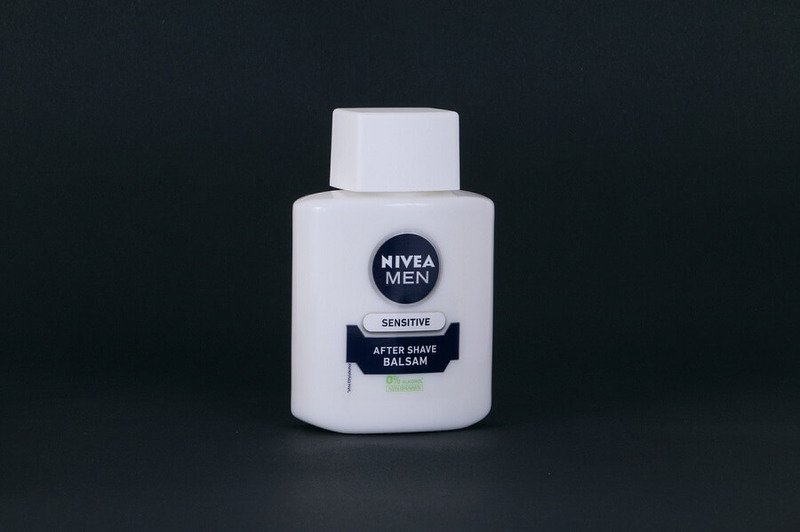 Finally, aftershave lotion is designed to be ultra-soothing and calming as your skin is extra-vulnerable right after you’ve shaved. Regular moisturizer might actually make things worse if it contains irritating ingredients such as perfumes. If you choose the right kind of lotion, the answer to this question is a resounding yes! Unfortunately, aftershave cream for ladies isn’t exactly a common product on the market yet. But times are changing, so be patient my friends. In the meantime, if you can’t find a women’s specific lotion that works for you, some men’s aftershaves (if they’re not heavily scented) can be a great option. But as men’s aftershaves are designed for men’s faces, they may not be moisturizing enough. Either look for an aftershave with extra moisturizing properties (Shea butter is always a great option) or wait a little while after using the aftershave and then use your regular moisturizer. Also, some men’s aftershaves are designed to sting a little (crazy, right? ), so you’ll want to check that they don’t contain things like menthol or unnecessary alcohols. Make sure it has some kind of antimicrobial ingredients like tea tree. This is really important if you’re prone to razor bumps or folliculitis. It’s great if it has an astringent like witch hazel to close your pores. Look for as many natural ingredients as possible and try to avoid alcohols, perfumes, sulfates, and parabens. Choose an aftershave lotion with soothing and anti-inflammatory ingredients like Aloe vera, lavender, chamomile or colloidal oatmeal. If ingrown hairs are a particular problem for you, you may want to consider an aftershave with salicylic acid. This is a moisturizer and after-shave that really is an all-in-one deal. It is soothing for just-shaved skin, helps to prevent ingrown hairs, slows regrowth, and provides a deep moisturizing treatment to keep your skin soft and supple. Easy to apply in spray form. Shea butter provides deep moisturizing properties. Whether it actually slows hair regrowth is something you’d have to decide for yourself. This salicylic acid toner is specially designed to soothe freshly shaved skin and fight razor bumps and ingrown hairs. It contains organic botanicals such as Aloe vera, green tea, witch hazel, and ginger for their soothing and antimicrobial properties, making it a great aftershave lotion for women. Contains jojoba oil for its intense moisturizing effects. Free of artificial fillers and fragrances. Easily applied with a spray nozzle or via cotton swab. Contains ingredients with natural antimicrobial properties to prevent razor bumps. Has a minor alcohol content that may sting a little on application. Designed especially for the female intimate areas, this aftershave is extra gentle, but extra effective at preventing shaving rash and irritation. And best of all, though it’s designed with your intimate areas in mind, there’s nothing stopping you from using it everywhere! This is the ideal aftershave lotion for women who want a product they can use on their whole body. Contains Lavender, cucumber and chamomile for their soothing properties. No alcohol, phthalates, parabens or sulfates. Easy application 360˚ spray bottle can be sprayed when the bottle is upside down. Not just for men! This aftershave balm is very popular with men and women alike for its ability to soothe and help protect the skin in its vulnerable post-shave state. It is specifically designed to help prevent ingrown hairs and soothe razor burn for smooth, healthy skin. Contains Chamomile for its soothing properties. Contains witch hazel for its astringent and antibacterial properties. Subtle, pleasant smell (doesn’t smell like men’s deodorant!). Doubles as a makeup primer, perfectly suitable for use on the face. May not be moisturizing enough for your legs by itself. 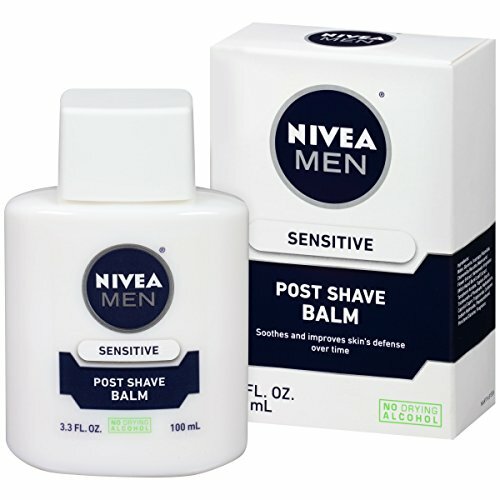 This post-shave balm is the best aftershave for ingrown hairs or razor bumps, as the salicylic acid specifically fights these issues. It is unscented which makes it ideal for sensitive skin (although they do a lavender one as well which could be a good alternative), and moisturizing. Sooths and moisturizes with coconut oil, cacao butter and Aloe vera. Helps to prevent ingrown hairs and razor bumps. Can be used everywhere on the body. Consistency is quite thick which may or may not be an issue depending on personal preference. Wait, isn’t there a brand of epilators called Emjoi? Yes, that’s why I just had to put an Emjoi after epilation cream review. This lotion is primarily designed to slow hair regrowth after epilation using a hair growth inhibitor that targets hair follicles after hair has been removed. Note that the hair growth inhibitor only works for hair removed by epilation or waxing, not shaving. Slows the regrowth of hair. 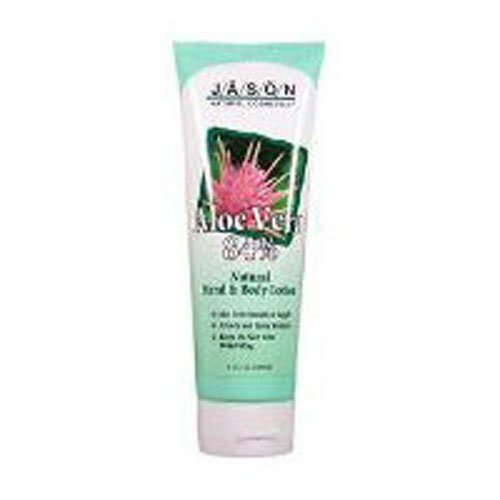 Soothes and helps to prevent irritation and ingrown hairs. Contains Aloe vera and propolis. Not suitable for use on your face. Contains synthetic chemicals that may be irritating for sensitive skin. Witch Hazel is a fantastic alternative to commercial after-shaves, being 100% natural astringent which causes the pores to contract. Thayers dilute solution of witch hazel with the added soothing properties of Aloe vera is ideal for use after shaving. Free of alcohol, parabens, perfumes and propylene glycol. 100% natural astringent closes pores. Contains Aloe vera for its soothing properties. Not moisturizing enough by itself so you’ll need to use another moisturizer afterward. This is an excellent DIY option if you’re more of a minimalist and like products that have multiple functions. Good quality apple cider vinegar is an item that deserves a spot in everyone’s cupboard. It works excellently as a natural anti-bacterial and anti-fungal aftershave. Follow it up with a moisturizing oil like coconut or olive and you’ll be set. Caution! You must dilute it with water. DO NOT put it on your skin straight from the bottle, undiluted. Easy to apply, diluted on a damp cloth. Will help to prevent bumps caused by foreign bacteria entering hair follicles. Is anti-inflammatory so will also help to calm your skin. Will sting if you don’t dilute it enough! 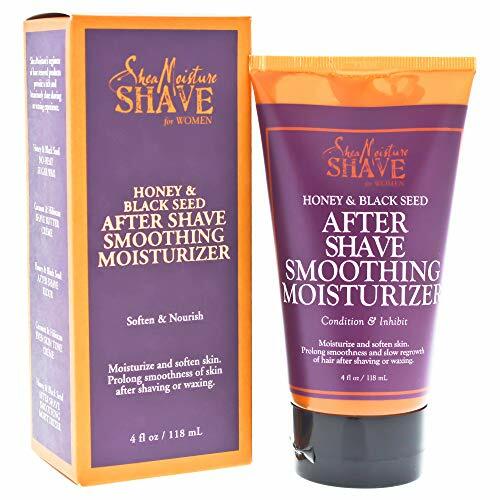 This moisturizing lotion doesn’t have the antimicrobial properties of aftershave, but it is very gentle, soothing and safe to use on freshly shaved skin. It has no perfumes or parabens and contains a high concentration of organic Aloe vera gel for its extra-moisturizing properties. Made with 84% Aloe vera. Soothing on sensitive, irritated skin. Suitable for use on the whole body including the face. 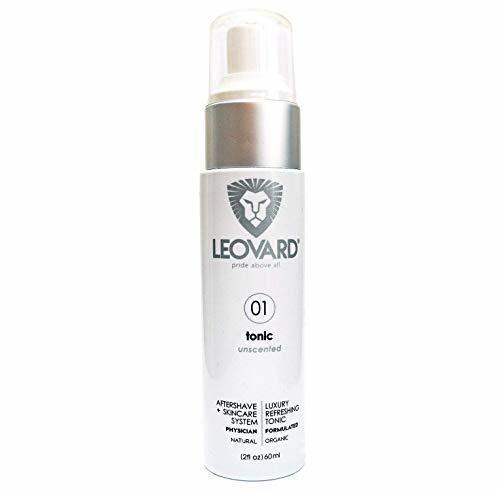 Designed to be used after shaving, this moisturizer has the soothing and antimicrobial properties of aftershave as well as being a hair growth inhibitor to slow the rate of regrowth. I’ve heard a lot of positive feedback from my fellow hair removing compadres about this product. It has proven to reliably reduce unwanted hair and prevent ingrown hairs and razor bumps too! Contains Shea butter for its deeply nourishing properties. Contains white willow bark for its anti-inflammatory and soothing properties. Uses plant extracts to target hair follicles and reduce regrowth. Contains no parabens or phthalates. Suitable for the face and whole body. The effectiveness of reducing hair growth varies from person to person. What the product doesn’t say is the hair growth inhibitor is probably more effective on hairs removed at the root than shaved hairs. That concludes this list of reviews. I hope you found it interesting and feel inspired to try some different products in your after-shave routine. So, to summarise, is aftershave really necessary? Well, it depends on your skin type, how irritated your skin gets after shaving, and whether you are prone to folliculitis or ingrown hairs. If you do experience issues after shaving, then after-shave could be a valuable addition to your skin care routine, helping to keep your skin healthy and smooth. Have you tried any of the products on this list? Do you use after-shave? Feel free to share your experience below! We’d all love to hear it! How to Treat Folliculitis from Shaving + Products That Will Help! Remington Epilator Reviews 2019 – Are All Created Equal? No! Best Safety Razor for Beginners (2019) – Yes, Ladies, For You Too! Tend Skin Reviews (2019) – The Life Saver for Ingrown Hairs & Bumps? How To Check Cervical Position – The Quick and Simple Way! How To Clean An Epilator – Prolong The Lifespan of Your Epilator! Best Back Scrubbers for Fighting Bacne – Backless Dress, Here I Come! Best Facial Wax Strips (2019): Rip Off That Peach Fuzz in Just Seconds! Best Depilatory Creams for Pubic Hair – Say NO to Chemical Burns! How to Get Rid of Strawberry Legs + Best Products to Treat It! Misscoty.com is a participant in the Amazon Services LLC Associates Program, an affiliate advertising program designed to provide a means for us to earn fees by linking to Amazon.com and affiliated sites. Amazon and the Amazon logo are trademarks of Amazon.com, Inc. or its affiliates.